Last night our family got back from a week-long holiday at the beach, which we spent with good friends of ours. Paul had to work most of the week, so he caught a ferry across on Friday night and only spent the long weekend with us, but we really treasured that time with him. We had our fair share of dramas while we were away, with a power-cut, a water tank that ran out of water, crazy heat, mosquitoes and a lawn-mower that broke down halfway through mowing the lawns but, apart from that, it was a magical week. 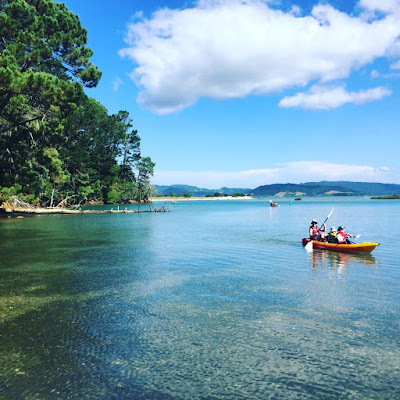 The weather was gorgeous, my three children played beautifully with our friends' three children, we ate good food, went on grand adventures and came away feeling refreshed and recharged. After unpacking the car yesterday evening, I was keen to get out into my garden and see how it was fairing. It looked so good. Paul had watered it before he came away for the weekend, so everything was lush and healthy. 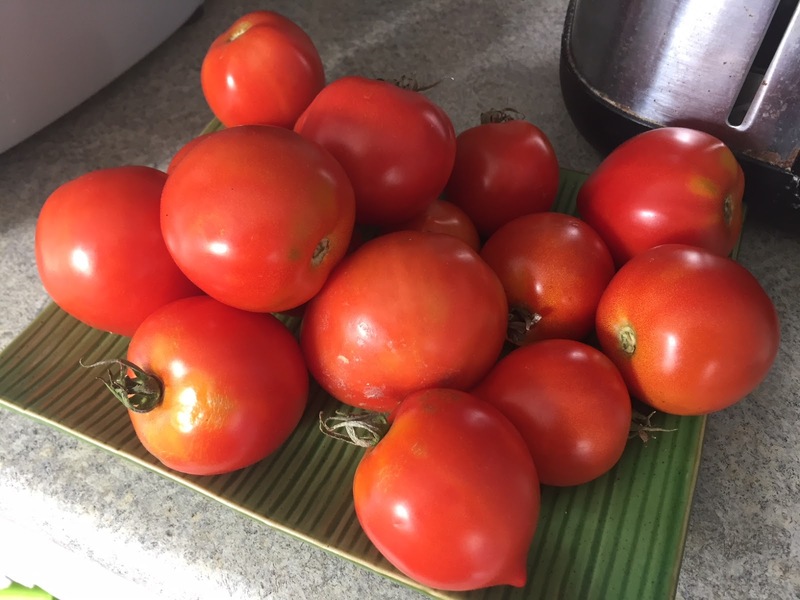 While I was out there, I harvested a skirt-full of tomatoes. 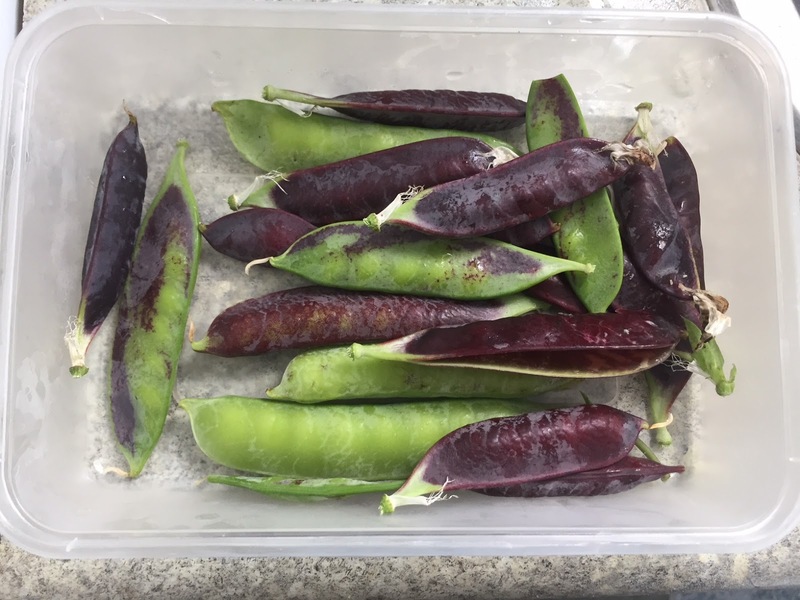 Some we'll eat fresh and some I'll dice up and cook in curries or pasta dishes. I also harvested several zucchini. Two were so large as to almost be marrows. I can't believe how fast they grew. 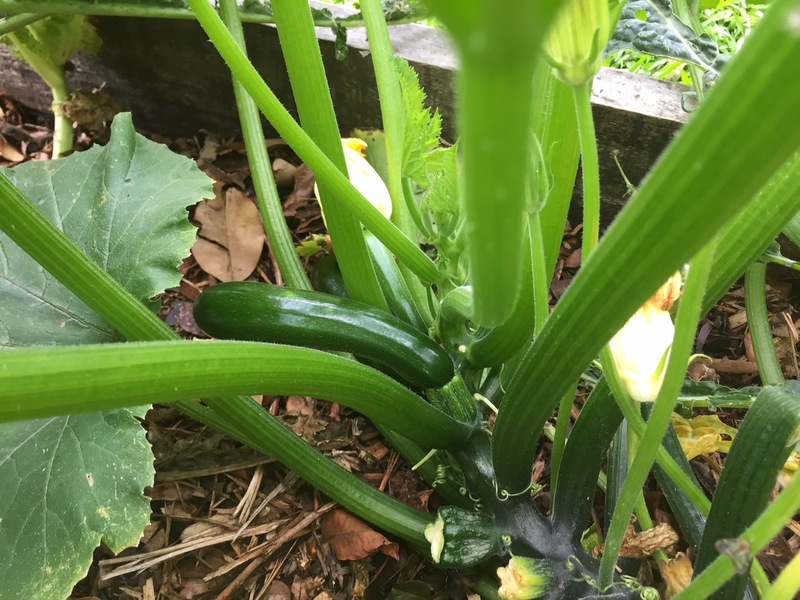 A week ago they were just tiny zucchinis, not even worth picking. I know because I picked all the vaguely worthy ones and brought them on holiday with us. I've shredded all the zucchinis up and frozen them in ziplock bags to use in meals over the coming months. I like to mix zucchini into curries, bolognese and Asian Mince on Rice. 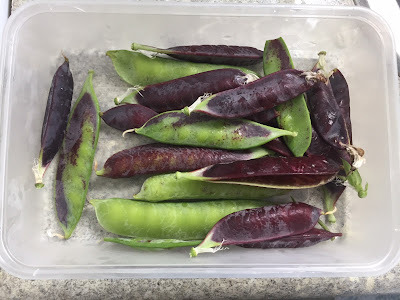 I filled a container with green and purple peas from my garden. L and I enjoy snacking on them fresh. 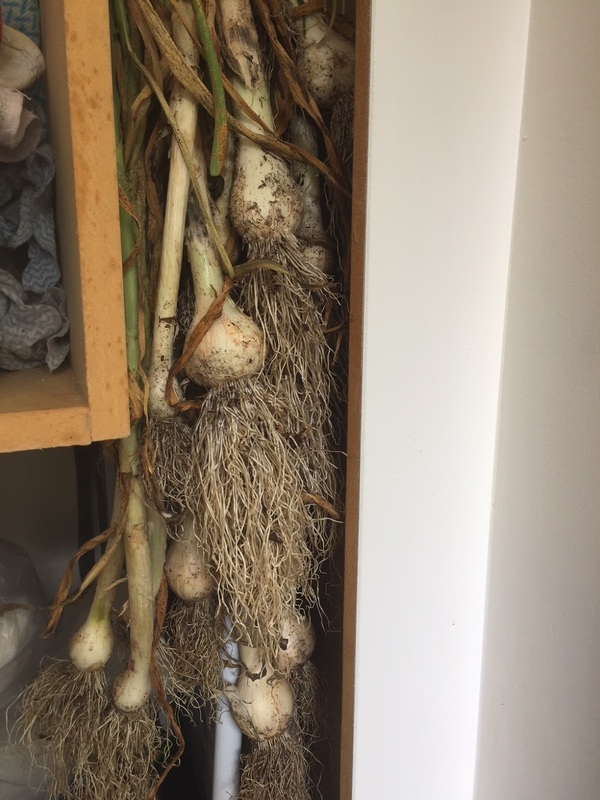 I pulled out all my garlic and hung it in my laundry cupboard to cure (and ward away vampires). 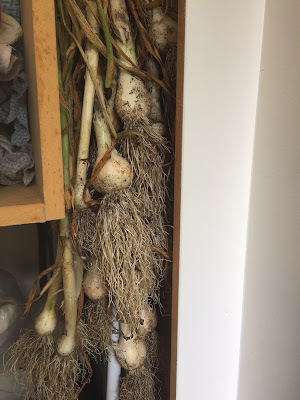 I had already harvested a few bulbs before we went away, but wanted to see if the rest would grow any bigger before I pulled them up. The tops had withered a lot while we were on holiday, so I decided they were as big as they were ever going to get. Some had a decent head on them, some only a little piddly head, yet all will be welcome in my cooking this year. Last year's garlic harvest came to nothing at all so I planted this year's crop in a sunnier garden and they've done much better. We've come home from our holiday to wittled-down pantry cupboards, so this morning I put a batch of dough in the bread maker to make buns for lunch. 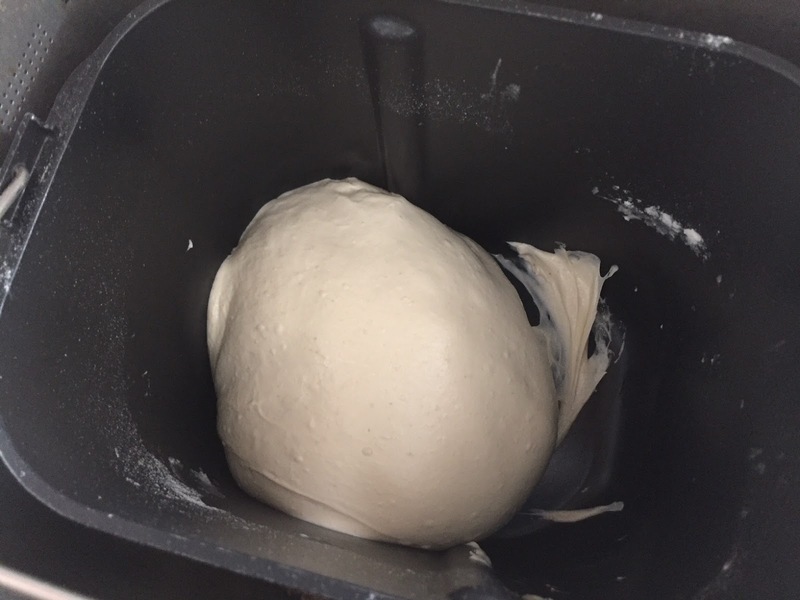 I'll go bake those in just a minute. Driving home from holiday, I told Paul some of my goals for this year, several of which require financial backing. 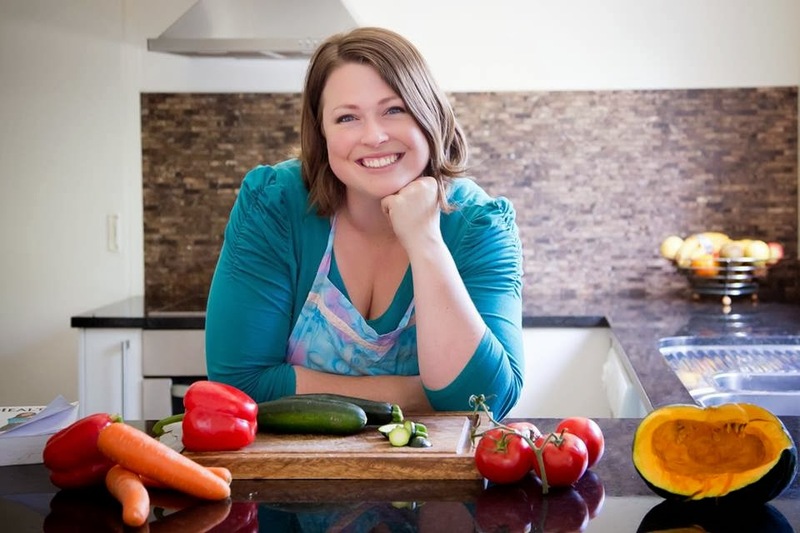 Paul asked what I was going to sacrifice in order to fund my goals, and I realised that groceries are something I often over-spend on. 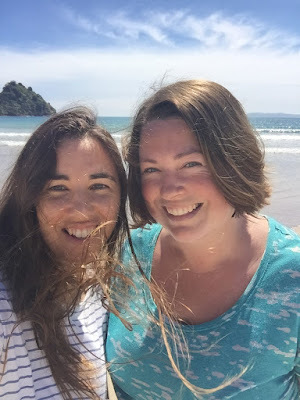 When J was a new-born, I ordered all our groceries online through Countdown, and was able to stick to our budget really well because I could track everything as I went and easily take things out of the online shopping cart if I'd gone over budget. I stopped shopping online because I felt like I could get better deals at Pak'N'Save, but since I keep overspending at Pak'N'Save on all those good deals, I've decided to rein it in by going back to Countdown's online service. I'm going to buy one of the six-month delivery packages and try the online shopping service for six months in the hopes of really sticking to our grocery budget and making savings for my other goals this year. In other frugal news, I've been booking all the kids' extra-curricular activities for this term and, where possible, paid early to get the early-bird discount. I've also purchased a few homeschool books for L from a buy/sell homeschool Facebook group and from the library's 3 books for $1 shelf. I'm eyeing up other homeschool materials as well, but will add to my collection slowly to ensure we make the most of what we already have. I read several library books while I was on holiday - some hard copies I had checked out and some ebooks I borrowed through Overdrive. I rang our power company and changed to a different plan that should save us money since we are classified as low-electricity users. What have you done to save money lately? And what are your financial goals for 2018? I've gone back to uni fulltime for a year, so we have dropped a wage. It's okay so far - I'm buying little treats like $20 Kikki K things and bits and bobs from KMart, but I am trying so hard not to buy stuff I don't really need. we're lucky with no mortgage, so that helps a lot! No mortgage would be amazing! And exciting about going back to uni. What are you studying?